I'm sorry but my Santa will not be a woke, skinny jeans wearing, tattoo'd sis gender fairy millennial snowflake! KANSAS CITY, Mo. — For a long time, Santa has been portrayed as a jolly, white-bearded man in a red suit who can't get enough of cookies and milk. But now, a new poll shows some people want Santa to be rebranded as gender neutral or as a female. Mental illness has taken hold of so many in this country. Science deniers, outrage pimps, it is exhausting. Exhausting is the right word for it. People don't have more important things to argue and fight over than the gender of some imaginary,fictional creature????? I believe in Santa. I believe in Rudolph. I believe in the elves. On Santa though, has anyone here ever gone to the post office and picked up a few letters for Santa and bought a toy some kid wanted but couldn’t afford? Best feeling in the world. Santa is in all of us. In a bazzare attack on a beloved Christmas icon, some want to turn santa female or gender-neutral. 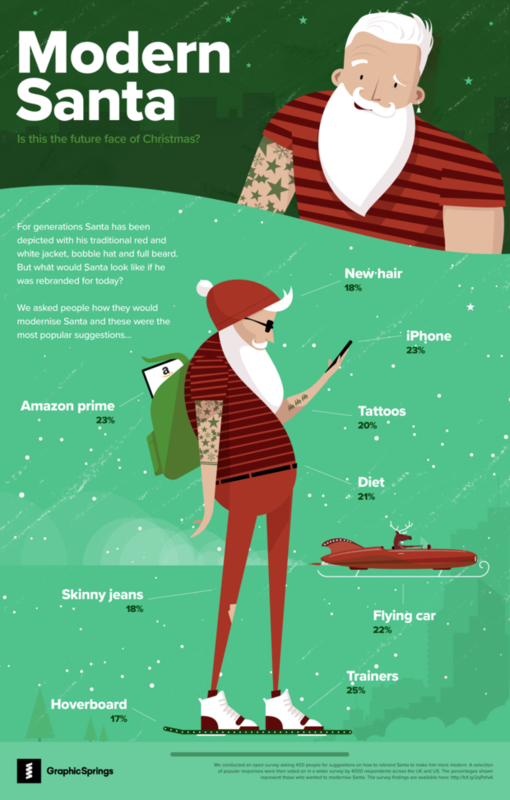 A poll of 400 people found that a staggering 27 percent are dissatisfied with Santa's gender. Quick check. How many of you ever heard of Santa being thought of in a sexual way,or ever thought of Santa as a sexual figure? Santa? ..well, no....but Mrs. Santa.....yow!!!... what a hottie!!!!! Santa should look like this, to help ease the stress of the season. The survey polled approximately 400 people from the United States and United Kingdom. So out of a combined population of around 400 million people between the 2 countries, a whole 400 of them voted and 108 of them decided that Santa be a He/She. Guess it is time to panic everyone. So....is he naughty or nice? These nutballs think Abraham Lincoln, Michael Jordan, and Mark Twain should be femail or gender neutral. Hell they think everyone should be gender neutral.